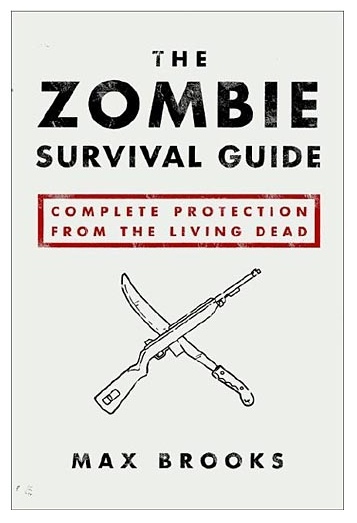 If things get really dicey, and you know that is probably going to happen at some point during a zombie apocalypse, you may need a back up hand-to-hand combat weapon. I’ll give you a good hypothetical situation- You’ve been blasting zombies all day and suddenly realize you’ve run out of ammunition, you draw your Katana and proceed to slice and dice your way towards the ammo supply shed, but then you accidentally get your Katana wedged in the helmet of a zombie construction worker. He falls down (re-dead) but now you’re still out of ammo and you’re down one bladed weapon! What now? Enter the Wakizashi. The Wakizashi is very similar to a Katana only shorter. 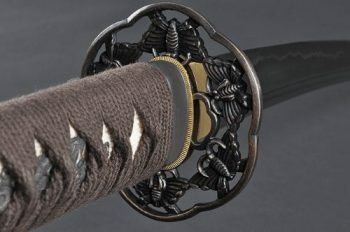 In feudal Japan the Wakizashi paired with the Katana on the hip was how you knew that someone was a Samurai. In our scenario, it might be how you know if someone is going to survive this battle or not. You wouldn’t want to carry a “back up” Katana, that’d be way too cumbersome. That doesn’t mean you shouldn’t have a “back up to” the Katana though. With one of these hardened steel little beauties you’ll be able to slash and dash your way to the ammo shed and get yourself reloaded and ready for some serious carnage in no time. Besides, this way you’ll be recognizable as a Samurai of the Zombie Apocalypse. Pretty badass if you ask me. They say that good things come in small packages and this Wakizashi proves them right. Made from heat-tempered carbon steel and sharpened to a razors edge, the handmade Butterfly Wakizashi is second to none. If it wasn’t such a bad idea to fight zombies hand-to-hand all of the time, this would be the weapon you’d want to use non-stop. As it stands, it’s probably going to be for emergency uses only, but when that time comes and you absolutely have got to slice through whatever is in front of you, you’ll be glad that you’ve got one of these hanging from your hip. The Wakizashi also works great with most flint and tinder fire starting systems like we talked about in our personal survival kits. It’s a versatile little piece of zombie shredding hardware.